Hang on to your cowboy hats y’all! 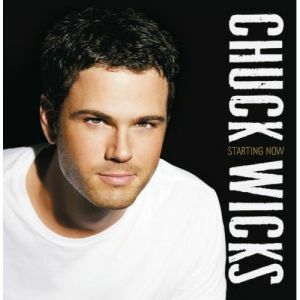 Six Flags America welcomes Country star Chuck Wicks in concert on Saturday, August 22, 2009 at 6:00pm. The concert will take place in the Gotham Arena; located inside of the park. Admission to the concert is free with a paid park admission. The new country sensation offers a new unique voice to country music, and telling a story in every song he writes. His latest single, “Man of the House” is currently climbing the American Country Music Chart. In addition to his vocal process, Wicks also showed off his dancing skills on this season’s Dancing with the Stars. The concert is FREE with paid admission into the park. Concert attendees will also be able to join all the amenities of the park, including the new line-up of shows daily. To get up-close and personal with Chuck Wick guest may purchase Preferred Floor Access seating from sixflags.com for just $10.